The Info view shows information about your selected satellite, and the times when it will pass over your location. You can set alarms for satellite passes, to alert yourself when a satellite pass is about to take place in real time. 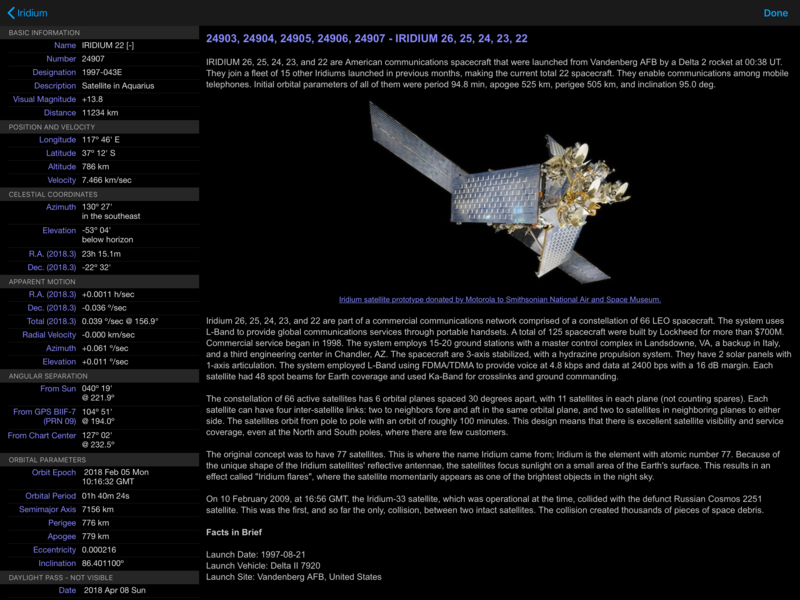 For hundreds of the brightest and best-known satellites, the Info view also displays English-language descriptions and images of the spacecraft. Due to varying atmospheric conditions and orbital perturbations, pass times should only be considered accurate to about one minute.